This Forte Village hotel is recognised as one of the best hotels on the Mediterranean, the Hotel Castello is near the seaside. At the Forte Village Children's Wonderland the only time you'll hear your children cry is when they find out they have to leave this corner of paradise. With its heavenly climate, the Thermae del Parco spa at Forte Village offers Mediterranean culture's best-kept secret: thalassotherapy. 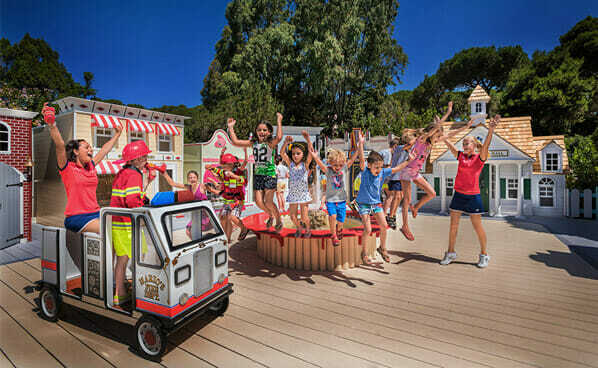 Limited Special Offer : Free Child Places + 15% off Adults on selected dates / Free Resort Credit worth up to €300 / Free daily Spa Thalasso del Forte for adults, for the whole stay. 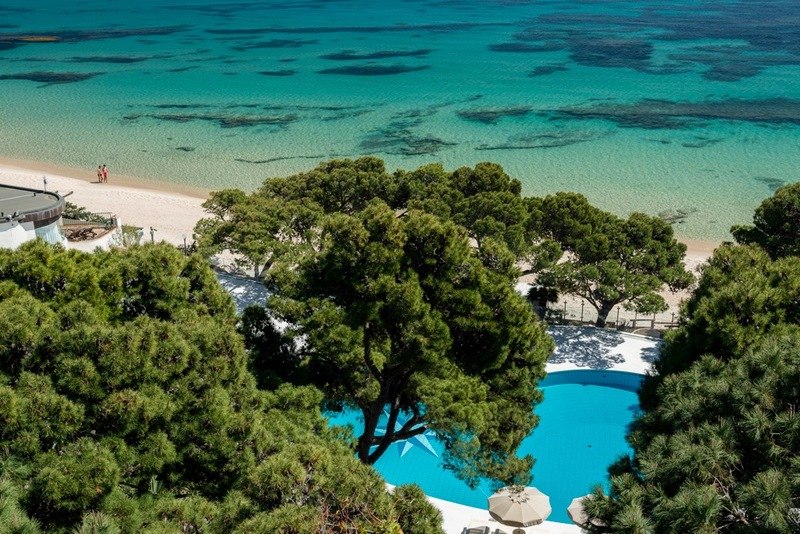 Nestled on the exquisite Sardinian coastline, built beneath the lush, wildlife rich, pine forested mountain range, Forte Village resort’s magnificent, 55-acre complex rolls out on to their prized white carpet – their own, award-winningly exemplary beach (Forbes 2013). Situated along the most naturally beautiful part of the island, between Pula and Capo Spartivento, over a mile of fine, white sand outlines the vivid emerald, azure and cobalt-glinting Mediterranean sea. Situated just 45 minutes from Cagliari and the airport, the stretch of beach, two bays and a lagoon running parallel to Forte Village was named by Forbes Magazine as amongst the top 25 beaches on the planet. The resort’s own Spa, The Acquaforte Thalasso, is a member of the elite ‘Leading Spas of the World’ Group and offers full packages in health, wellness, detoxification, balancing and weight loss and using traditional methods and alternative health treatments. For the golfing enthusiast, The Molas course is considered once of the most hi-tech courses in Europe, hosting 4 Italian Opens in its history, and offers tuition packages with experts to master your swing in the most stunning of backdrops. 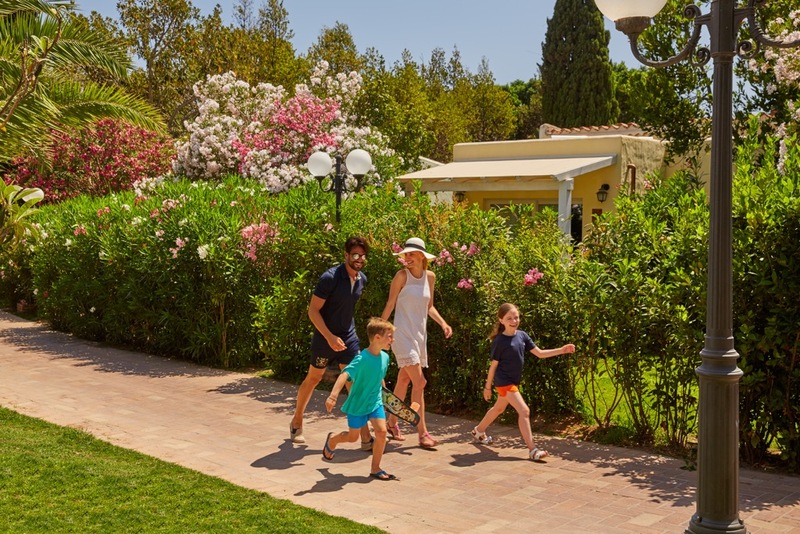 Whether your trip is to ignite romance, or to bring your family together, it’s possible to achieve both at Forte Village, and the passion and pride taken by the staff at the resort are as ultra-clear as the water. This, coupled with the stunning, idyllic surroundings, provides a simply magical atmosphere, no matter the amenity, activity, bedroom, bar or restaurant. The Forte Village resort continues to set the tone for all-round excellence in the endless options for dining during one’s stay here; the 21 restaurants and 14 bars with themed and sourced produce from all around the world are unmatched in standard and unrivalled in variety, with the Michelin – starred Hell’s Kitchen, Spice for Life’s Alfon Schuhbeck and traditional Italian Masterchef, Rocco Lannone, amongst many other talented chefs all overseeing the passionate, foodie establishments and à la carte menus in high season. From food to facilities, and from facilities to activities, the sporting academies range from football, rugby, cricket and netball, with the ever popular Chelsea FC-affiliated Football Academy becoming more and more popular each year. 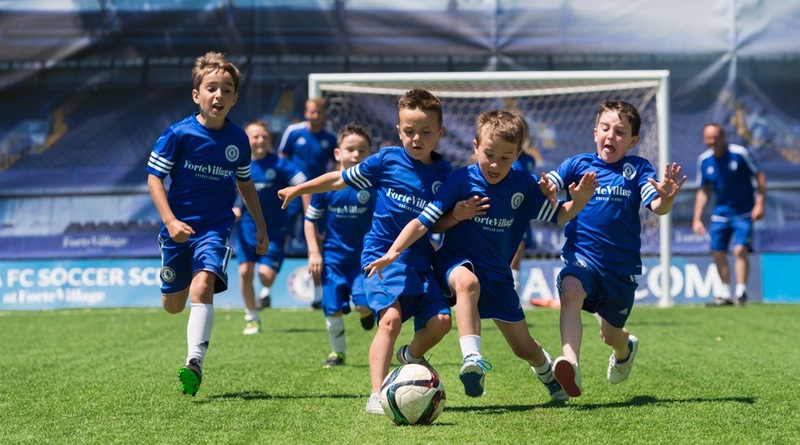 The Football Academy requires early reservation; Forte Village resort has arranged mentoring with high-profile Italian and British stars playing for the British premiership team, Chelsea Football Club, whom coach the young, footie-mad hopefuls that stay with us in the summer months. 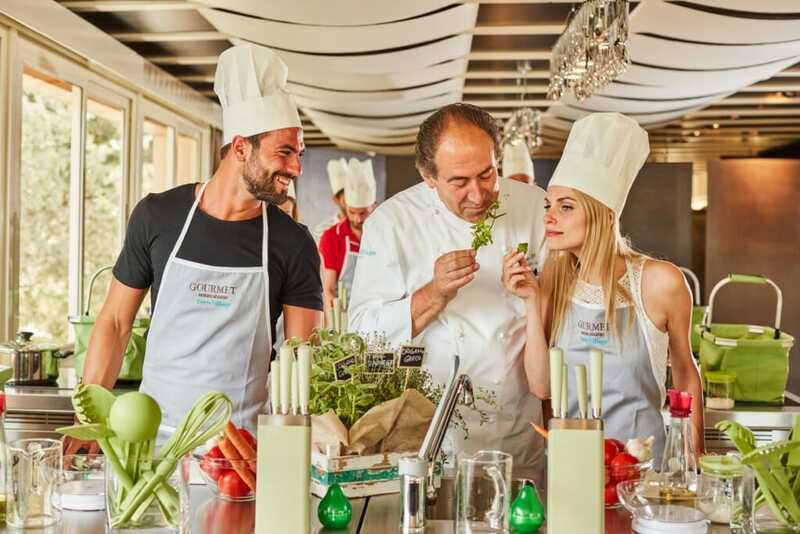 Forte Village run by Design Holidays are the Forte Village Specialists and offer Forte Village Sardinia holidays at the best prices guaranteed. For specialist Forte Village Holiday advice please feel free to put us to the test and call our Forte Village advisors on 01444 87 22 14 or book your Forte Village Holiday online. Sardinia is the second largest island in the Mediterranean Sea, after Sicily, and with 1149 miles of dramatic coastline, its hot mediterranean climate, white sands, and close proximity to the rest of Europe make it a superb holiday destination, whilst protected as a place of outstanding natural beauty. The ancient geo-formations of exposed rocky cliffs, caves and coves are made of granite, schist, basalt, sandstone and dolom. There are numerous stretches of straight beaches interspersed with fjord-like inlets and headlands. The mountain range beyond the Chia coast is named Sette Frattelli, and the highest peak, Punta La Marmora lies within the island’s central mountain range, the Gennargentu. The captivating Island of Sardinia has long enticed sun-worshipping, broadly European clientele to its stunning coastlines. 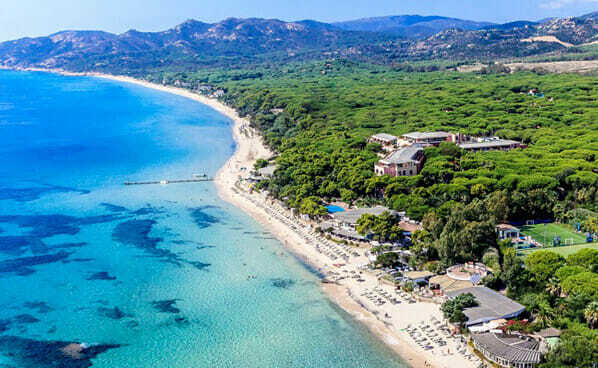 Forte Village resort resides sympathetically within the simply stunning, unspoilt coastline of Southern Sardinia, in the capital Province of Cagliari. Less than one hour from the airport, each of the resort’s accommodation options harbour their very own private beach. 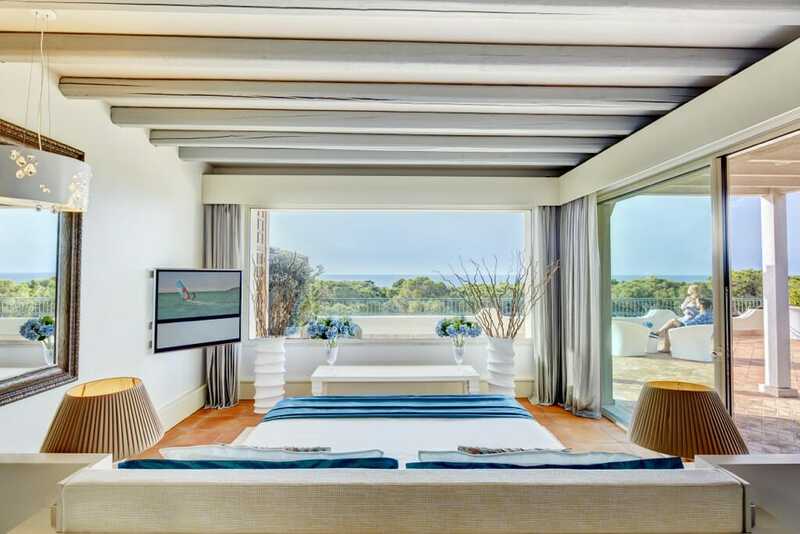 The white sands of Forte Village and the surrounding coastline are heralded as amongst the very best in the world. 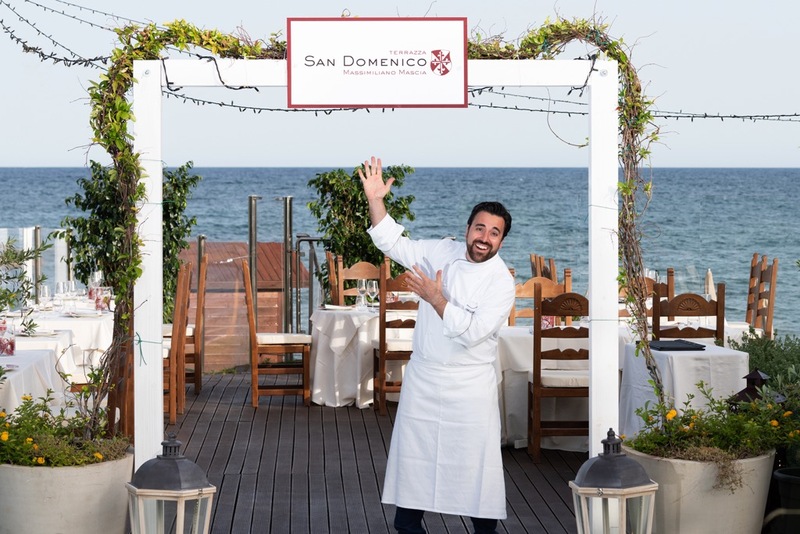 The sanctuary of the Forte Village resort manages to harness an abundance of facilities with a level of exclusivity and eminent luxury that is only matched by the location; a sub-tropical slice of heaven on Earth. 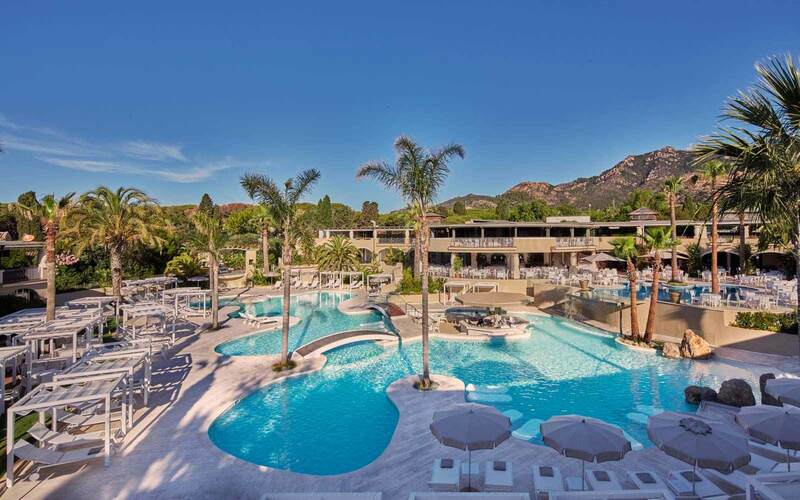 Forte Village resort provides a perfect base in Southern Sardinia to hire a car for your stay. 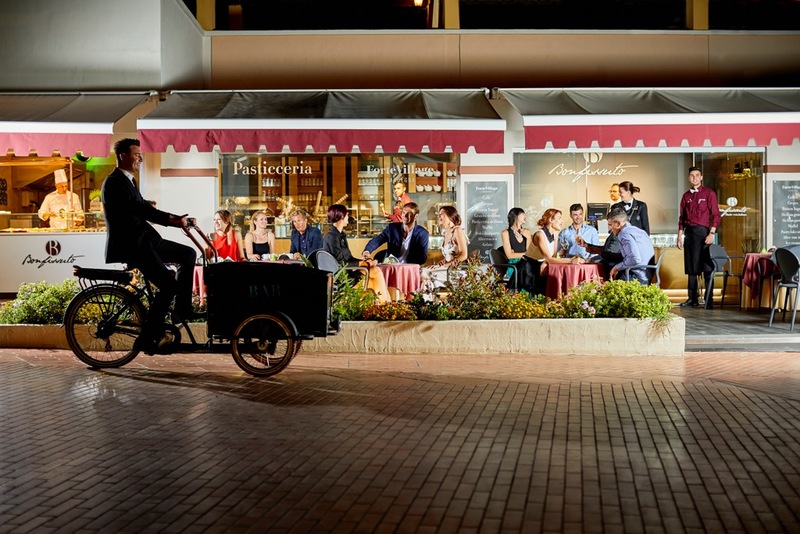 Great deals can be found online with a little research, however our staff at the Forte Village resort can organise shuttles to local places of interest, taxis or book a hire car for giddy journeys that will create memories for a lifetime. Whether for a couple of days or an entire trip, the wildlife, caves, ancient remain and incredible beaches provide an endless realm to explore, educate and inspire families with children or couples with a sense of adventure! The Forte Village resort has been awarded the “Best luxury holiday resort in the world”, for the last 17 years. The stretch of beach, two bays and a lagoon running parallel to Forte Village was named by Forbes Magazine as amongst the top 25 beaches on the planet. Situated along the most naturally beautiful part of the island, between Pula and Capo Spartivento, over a mile of fine, white sand outlines the vivid emerald, azure and cobalt-glinting Mediterranean sea. The resort’s own Spa, The Acquaforte Thalasso, is a member of the elite ‘Leading Spas of the World’ Group and offers full packages in health, wellness, detoxification, balancing and weight loss and using traditional methods and alternative health treatments. For the golfing enthusiast, The Molas course is considered once of the most hi-tech courses in Europe, hosting 4 Italian Opens in its history, and offers tuition packages with experts to master your swing in the most stunning of backdrops. Particular emphasis for the discerning guest who enjoy sports and fitness may see their perfect vacation realised with use of our gymnasium, tennis courts, famous Molas golf course, and for wellness packages, a stunning spa and beauty centre is situated on site with both traditional Sardinian and conventional treatments available. 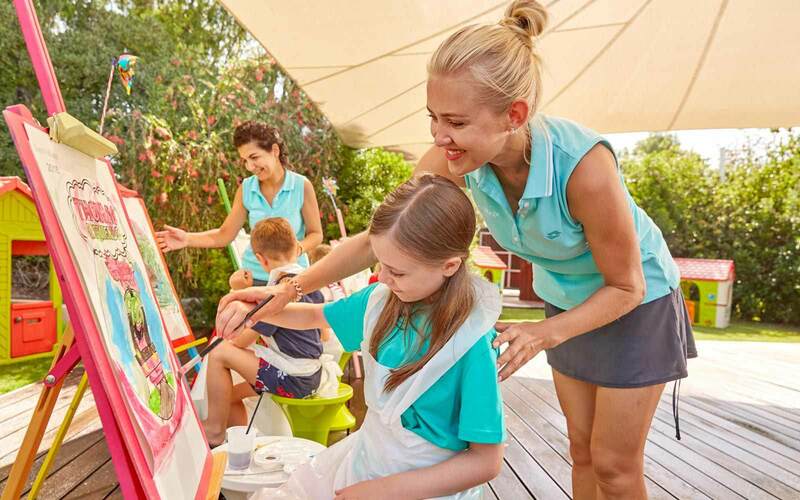 For families with children or teenagers and corporate parties, there are activities and clubs aplenty; sports upon both land and sea, horse riding, cycling, scuba diving, tennis, jet skiing and kayaking. The Forte Village resort continues to set the tone for all-round excellence in the endless options for dining during one’s stay here; the 21 restaurants and 14 bars with themed and sourced produce from all around the world are unmatched in standard and unrivalled in variety; with the Michelin-starred Hell’s Kitchen, Spice for Life’s Alfon Schuhbeck and traditional Italian Masterchef, Rocco Lannone, amongst many other talented chefs all overseeing the food provisions and à la carte menus in high season. Forte Village boasts extensive sports facilities with seven individual hotels located in the resort ranging from four to five-stars. 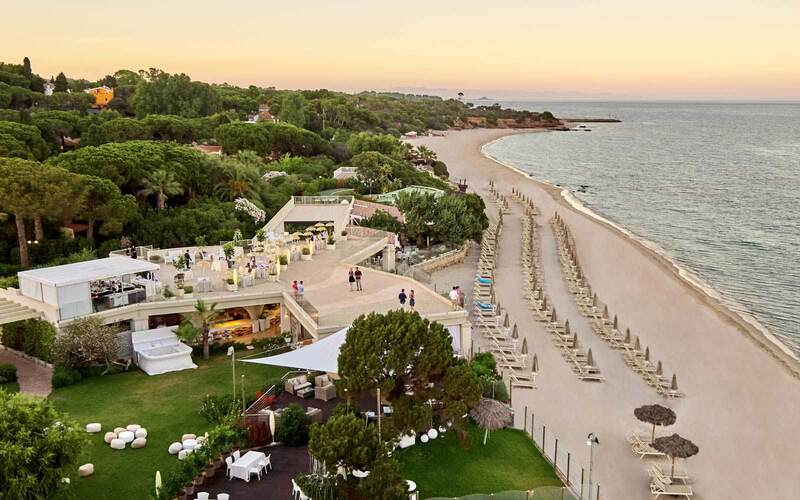 Guests at the Forte Village Sardinia can enjoy a white sandy beach stretching for over a mile with an exciting array of watersports , 14 bars, 21 restaurants, evening entertainment as well as a Forte Village health Spa and a children’s village. 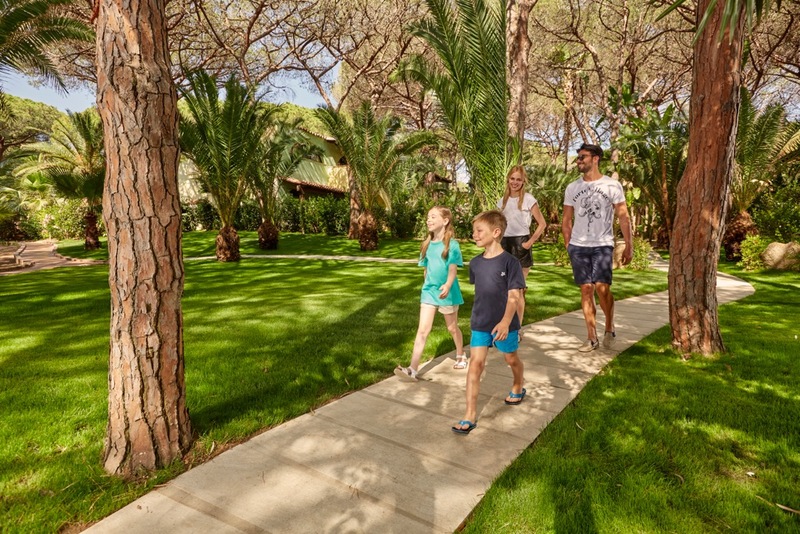 With so much choice, Forte Village resort realises that to integrate the perfect holiday, the correct choice of living space is fundamental to your stay. With 9 pools scattered accordingly within close quarters to your chosen accommodation, Forte Village offers 9 main accommodation options, in three styles; Private Villas, Hotel rooms, and Bungalows. Whether to cater for the newly wed couple, discerning marrieds, hi-corporate parties or luxurious family holidays that can incorporate as much or as little interaction with other guests or activities as personally desired. 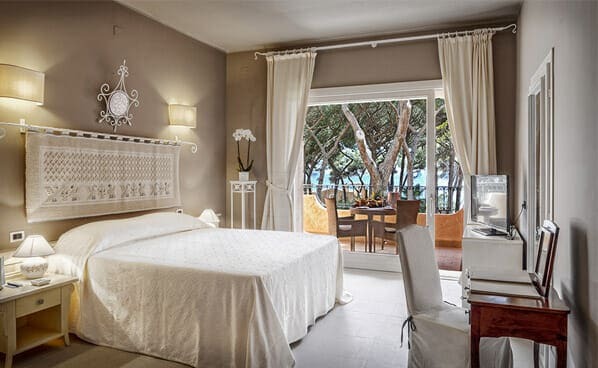 Forte Village resort houses several hotels: ‘Hotel Bouganville’, ‘Hotel Castello’, ‘Le Dune’, ‘Le Palme’ and ‘Pineta’, with the 5 star, award winning Member of the Leading hotels in the World, ‘Villa del Parco’. Each are decorated tastefully but with a classic mediterranean nuance and modern sumptuousness. Guests are all able to use the facilities around the resort free of charge, however when seeking tuition or academy spaces, a supplement and/or reservation may be required. Sunbeds, towels, access to all tennis, trampolining and basic gym facilities are all inclusive, along with 24-hour room service, LCD TVs, minibar, whirlpools at request, with free newspapers and in room massages all made available. Private Villa options range from 2 to 3 bedrooms, and do not only boast their own private swimming pool, but, for these residents, their own personal, in-house butler. Il Borgo Village: Il Borgo, our village that leads to Forte Village resort’s children-centric, ‘Wonderland’ – an area of the complex with a disco, go-karting, bowling and slide-laden waterpark – holds a wealth of wholesome, family-focused bungalows in a purpose-built village within the self-contained, stunningly designed, 55 acre complex. 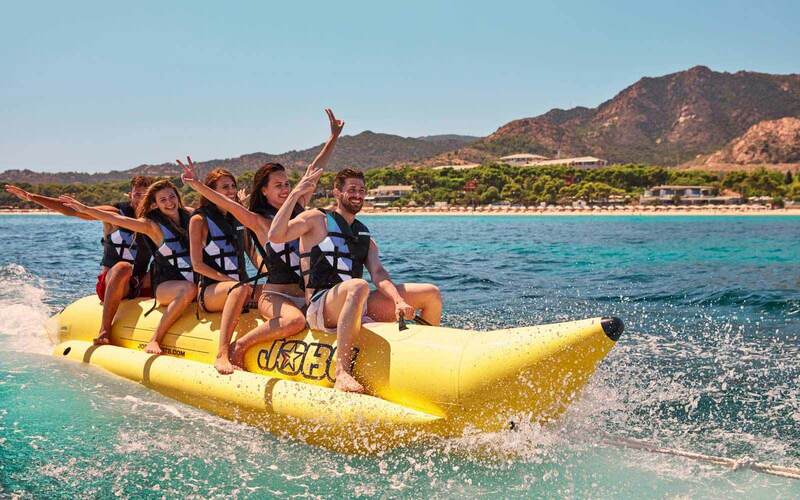 Sailing, windsurfing, banana boating, waterskiing, canoeing, and pedalos are all for hire and ready when you are, or for the more nature focussed holiday maker, snorkelling or P.A.D.I certified scuba diving training in the shallow seas is also available each and every day. The exclusivity of the resort means there is never a sense of overcrowding, and for those who wish to travel further afield, local car hire and in house excursions to ancient places of interest are happily offered and arranged. For the golfing enthusiast, The Molas course is considered once of the most hi-tech courses in Europe, hosting 4 Italian Opens in the past, also offering tuition packages with experts to master your swing in the most stunning of backdrops. All guests at Forte Village can book discounted Golf at the nearby Molas Golf Club, or our experts at Design Holidays can book this access in to your initial package. Tuition is offered, too, for all abilities. With 27 Holes of golfing at a golden standard, and the Molas Club has been a former venue of the Italian Open, with the best, simply unforgettable, panoramic views of the surrounding seas. The resort’s own Spa, The Acquaforte Thalasso, is a member of the elite ‘Leading Spas of the World’ Group and offers full packages in health, wellness, detoxification, balancing and weight loss and using traditional methods and alternative health treatments. The theory of ‘Thassalotherapy’ was founded at the Forte Village resort. Treatments combine warm temperatures, sunshine and vitamin D, marine mud and magnesium salts together to make a unique salt density found in no other water, giving largely therapeutic properties. With three, designated children and teen clubs, our staff are trained to safely entertain and nurture all our guests’ children. Il Borgo, our village that leads to Forte Village resort’s children-centric, ‘Wonderland’ – an area of the complex with a disco, go-karting, bowling and slide-laden waterpark – holds a wealth of wholesome, family-focused bungalows in a purpose-built village within the self-contained, stunningly designed, 55 acre complex. The provision for children and teens are as highly organised and vibrant as the rest of our facilities. The emphasis on entertaining all the family is our aim, to make your stay as as close to perfect that reality can become. The stunning, idyllic surroundings, providing a simply magical atmosphere, no matter the amenity, activity, bedroom, bar or restaurant. 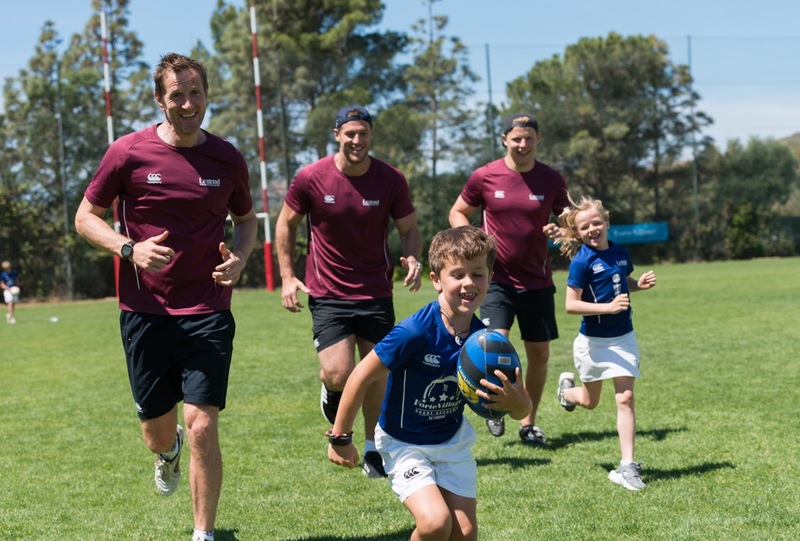 From food to facilities, and from facilities to activities, the children’s sporting academies range from football, rugby, cricket and netball, with the ever popular Chelsea FC-affiliated Football Academy becoming more and more popular each year. 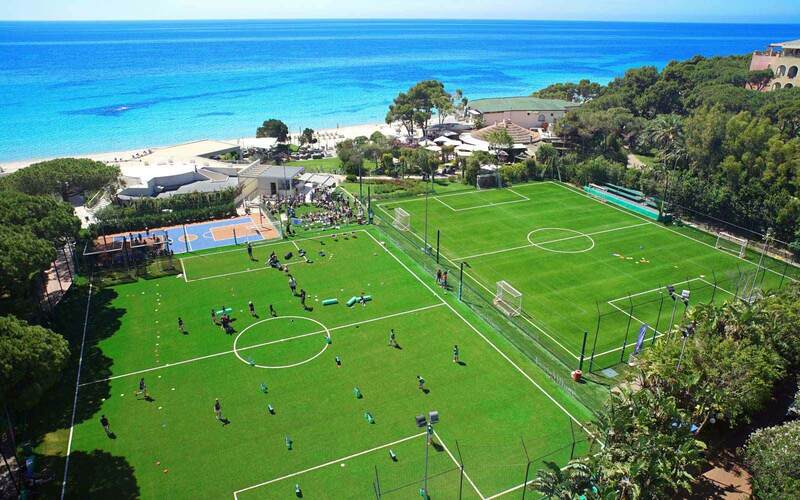 The Football Academy requires early reservation; Forte Village resort has arranged mentoring with high-profile Italian and British stars playing for the British premiership team, Chelsea Football Club, whom come to coach the young, footie-mad hopefuls that stay with us in the summer months. 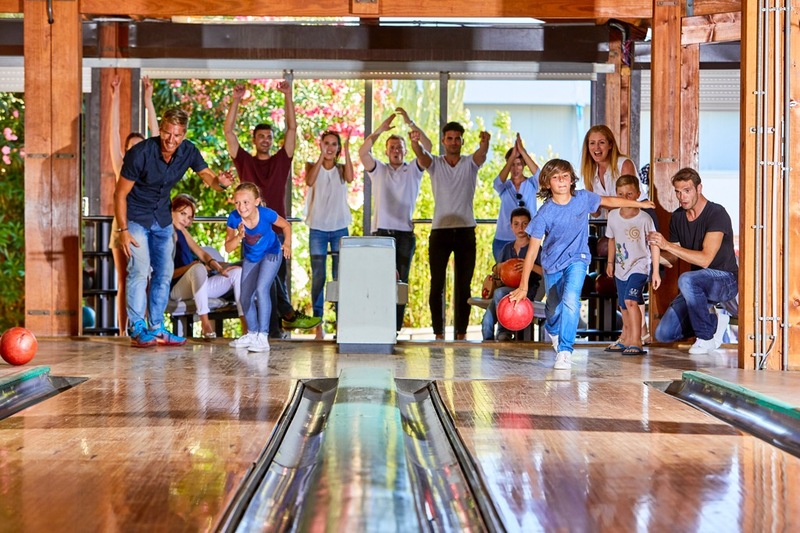 Activities at the resort really are endless, with Forte Village’s sporting academies, golfing and sublime spa and wellness centres, merely the Standard. Forte Village activities really come in their own and begin to out-rival any other resort when the resort beach offers everything a coast-line location possibly could. Whether it’s an exhilaratingly fun afternoon’s jet skiing, or chartering the resort’s private yacht for the day, the location and perfection of Forte Village’s beach means one, when not basking and reading from a kindle whilst supping a cool, refreshing cocktail, may now experience any bucket listed water-borne activity just a stone’s throw away from your new home from home. The beach is the Forte Village resort’s doorstep for discarded flip-flops and happy, sandy feet. At least two degrees hotter than the rest of the island of Sardinia, this Southern tip exerts an almost sub-tropical temperature, a microclimate that never feels too hot or too breezy, attributed to the pine-rich mountains that rise above and beyond the resort’s outer perimeters. To attempt to summarise the length and breadth of activities, facilities, sumptuous accommodation and Michelin starred sustenance in this purpose-built wonderland, however well or poetically described, the innate strive for excellence with no detail overlooked is probably impossible to imagine without the ability to actually immerse oneself in this stunningly sublime, world-class haven of dazzlingly nurtured luxury – in real-time. Staff at Design Holidays are always ready to help guide you to help you find the right holiday for the right price. Which Hotel to pick at Forte Village Resort? Rates for each Hotel option are listed separately, depending on room option, (Garden/Deluxe/Superior) or Cottages (2/3 Bedroom, Garden or Penthouse) in our purpose designed Village. Most quotes are based on a minimum of seven nights stay in each Hotel depending on availability. 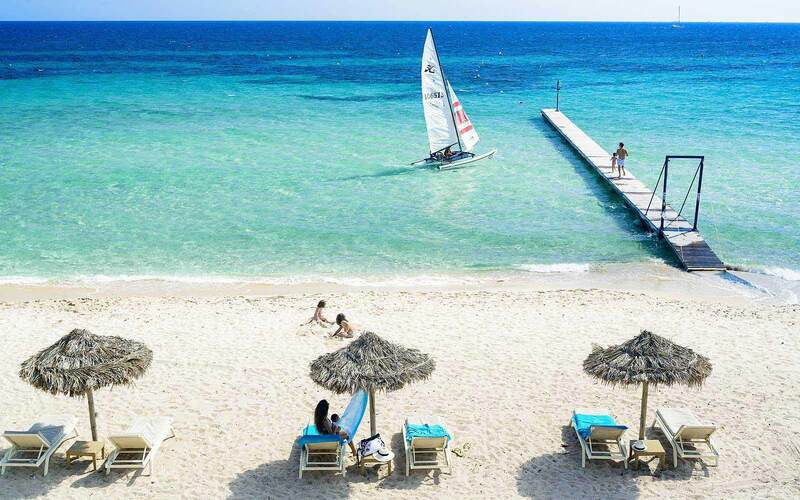 Forte Village is a wonderful luxury holiday resort situated in southern Sardinia in Italy. 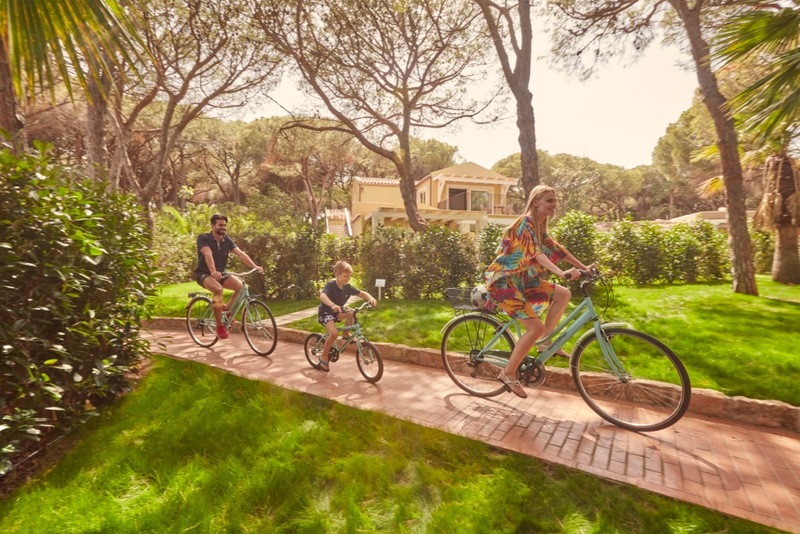 A Forte Village holiday resort offers a wealth of leisure and accommodation options for the whole family; this wonderful self-contained Forte Village Sardinia Resort complex is comprised of 8 extremely luxurious Forte Village hotels with 10 styles of accommodation and over 700 rooms . 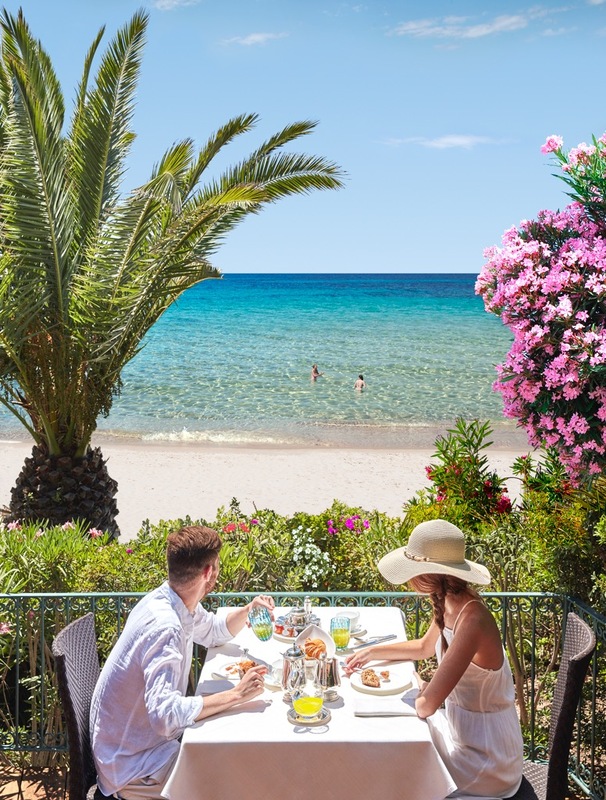 As the winner of ‘World’s Leading Resort’ for the last five consecutive years, Forte Village Sardinia is a luxury resort set within 55 acres of pine forest and subtropical gardens, next to a dazzling white beach at the southern tip of Sardinia. For more details and to request a quote call our Design Holiday Partners who promise to match any price found elsewhere. They will also find you the best deal for holidays that entail extra tuition or spa programmes. The Chelsea FC Academy for footballing hopefuls begins at 550€ for a week, whilst spa packages vary. Cagliari city is the nearest airport link, 58 km from Forte Village. Private Taxi’s from the Airport cost around 100€ and under an hour away. Ask our experts at Design Holidays to arrange a hire car if required, fuel costs sit between 6-9€ from Cagliari Airport to Forte Village resort. We look forward to all our guests arrivals and all guests are able to check in to their accommodation anytime from 2pm. Simply let us know if you will be arriving earlier. Check out is usually at 11am however we can work around your flights – just let us know your requirements in regards to leaving Forte Village and we’ll work around you. Room was great - lovely decor and patio . Kids bikes in short supply- very annoying considering 1 weeks rental would pay for a bike! Pools and breakfast buffet a bit tatty compared to rest of resort. Kids club a bit disappointing-didnt always do activities they advertised . Other sports looked great . Both buffet and entertainment really good . Service was very good but communication poor you needed to know what to ask for ! Breakfast buffet was chaos and very strict timing finished at 10 am . The Forte Village resort has partnered with Design Holidays to tailor your trip away – they aim to make your stay the most memorable and individually perfect it could possibly be. 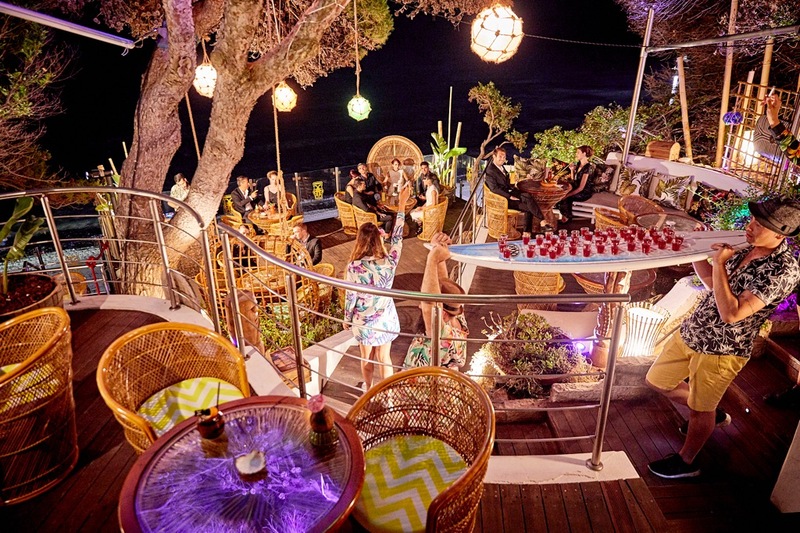 Quite simply, the Forte Village in Southern Sardinia’s tip aims to be the trip of a lifetime. Forte Village resort look forward to you joining them.